RwandAir, the national carrier of the Republic of Rwanda is pleased to announce that it will launch flights to Kinshasa, the capital city of the Democratic Republic of Congo (DRC) effective 17 April, 2019. 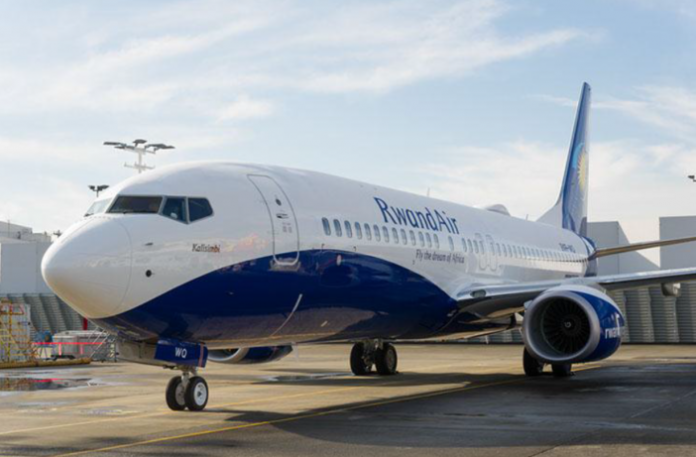 RwandAir will operate three weekly direct flights from Kigali hub to N’Djili International Airport, the largest of the four international airports in DRC. “We are very proud to add Kinshasa to our network and to offer both passenger and cargo services. This new route will support our growth and increase our footprint in Africa.” said Yvonne Manzi Makolo, the CEO of RwandAir. “We also believe the addition of Kinshasa will boost business and strengthen commercial ties between the two countries” she added. Kinshasa is the third-largest urban area in Africa after Lagos and Cairo, it hosts the country’s major industrial and commercial companies. Top tourist attractions include Lola ya Bonobo, the world’s only sanctuary for orphaned bonobos, the National Museum of Kinshasa, Académie des Beaux-Arts and many more. The country is also known for its rich music history and the Congolese rumba is one of the most popular music genre. Kinshasa will be the 23rd RwandAir destination in Africa extending RwandAir’s network across the globe to 27 destinations.